SUPERNATURAL 11x03 Images: "The Bad Seed"
Calling all casual female viewers! Jensen Ackles directs October 20th’s episode … which let’s face it, you probably knew already because when it comes to this show there is absolutely nothing casual about its fans. Titled “The Bad Seed” the ep. will see Rowena (guest star Ruth Connell) attempting to consolidate her power in order to protect herself from the Winchesters. Meanwhile, Castiel (Misha Collins) struggles to heal (his eyes, his eyes, his beautiful eyes!) and Crowley (Mark Sheppard) tries to find a way to use the Darkness for his own personal gain. Good boy, Crowley. Jensen Ackles steps back into the director’s chair for this one. It airs October 20 on the CW. Follow @ScreenSpy on Twitter | ScreenSpy on Facebook because what have you got to lose? 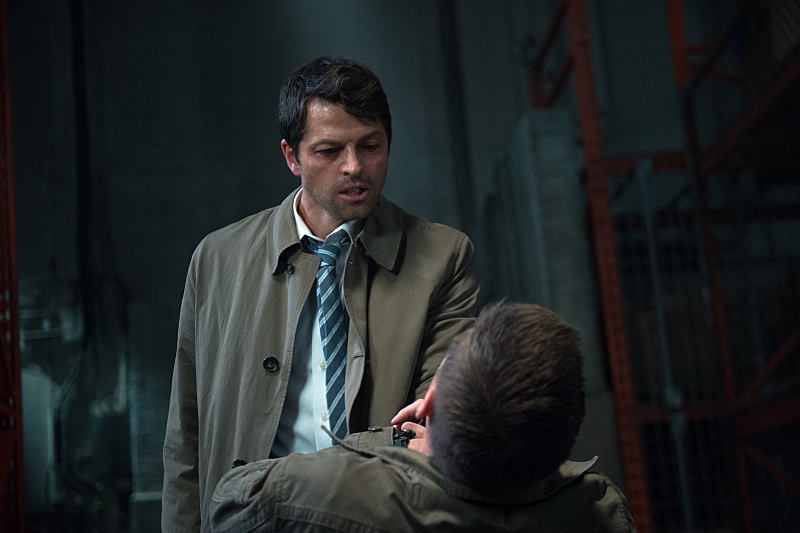 Supernatural -- "The Bad Seed" -- Image SN1101B_0163.jpg -- Pictured (L-R): Misha Collins as Castiel -- Photo: Diyah Pera /The CW -- ÃÂ© 2015 The CW Network, LLC. All Rights Reserved.